We mentioned Microsoft's new Red Stripe Deal promotion earlier this month. It's not a special on Jamaican Beer but rather weekly discounts on Windows Phone apps and games. Every week Microsoft will highlight certain apps at a discounted price and you can pick them out of a crowd by the red stripe that surrounds their icon. This week's deals includes the Xbox Live game Tiki Towers, the independent game Doodle Devil and the photography app Pictures Lab. All three Windows Phone apps have had their prices discounted from $2.99 to $.99. Tiki Towers is a puzzle game where you try to navigate a group of monkeys across the forty-five gaming levels by building bridges with bamboo, coconuts, and vines. 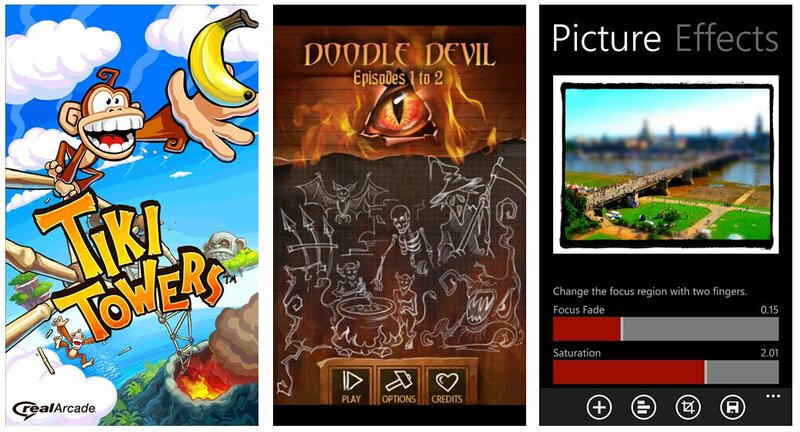 There is a trial version available and you can find Tiki Towers here in the Windows Phone Store. Doodle Devil is a game of destruction where you destroy everything with spells and various deadly sins. 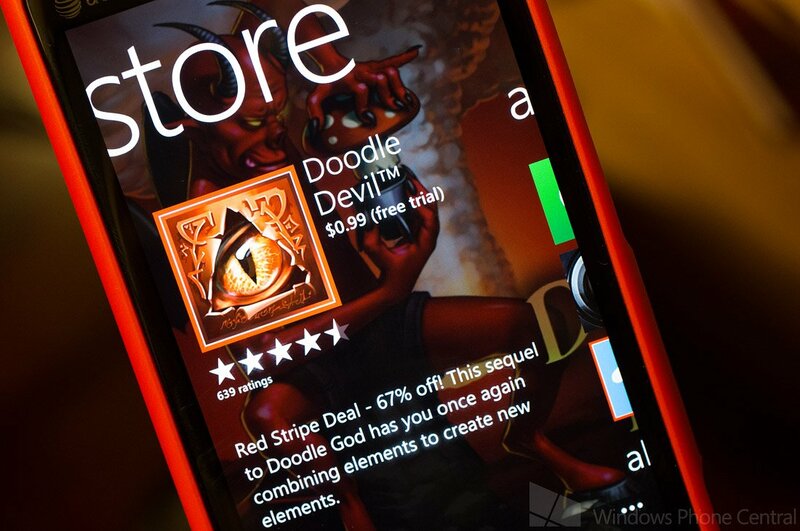 Doodle Devil does have a free trial and you can find it here in the Store. Pictures Lab is a photo editing app for your Windows Phone with a healthy stock of editing tools that includes effects filters, cropping tools, auto adjust features and photo sharing. As with the other Red Stripe deals, there is a free trial for Pictures Lab and you can find it here in the Windows Phone Store.